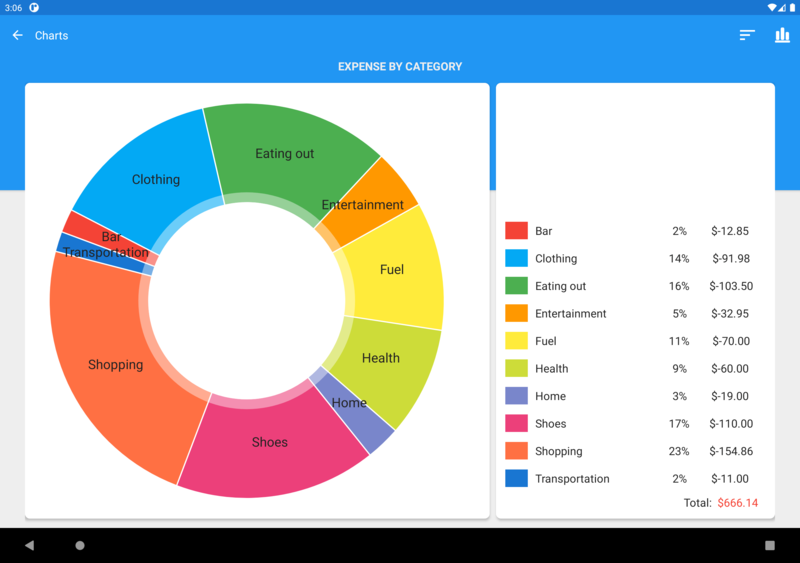 Visualize the flow of your money at a glance with a fully customizable Overview page. Create and modify your accounts as you please. There are 2 account types: normal and hidden. 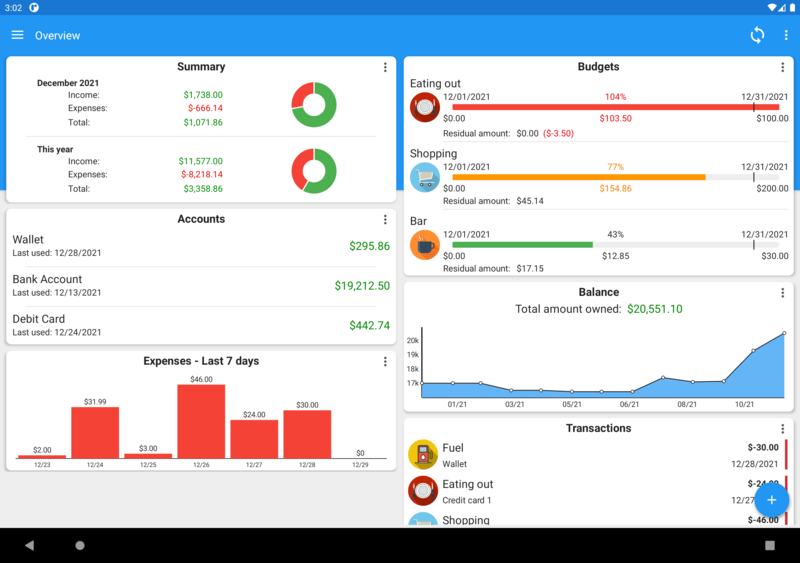 The hidden accounts can be very useful for tracking small businesses or hobbies. In addition, with each account, you can view the most important information relating to it with helpful charts. There is also an entire section dedicated to credit cards. Both accounts that credit cards can be used in over 90 different currencies. 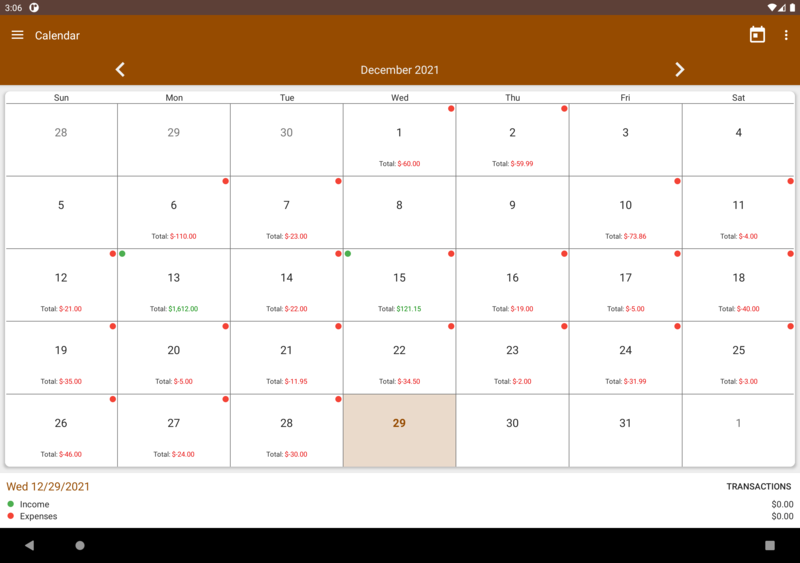 Manage your daily expenses and income as you wish. You can create as many categories as you want, edit existing ones or rearrange them, to have the most used on top of the list. 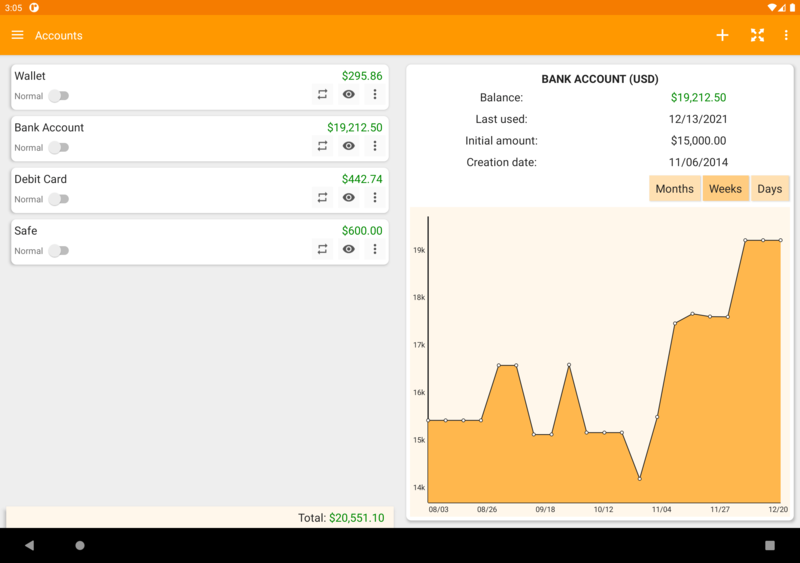 You can enter scheduled transactions and create transaction templates to speed the insertion of a new expenditures. 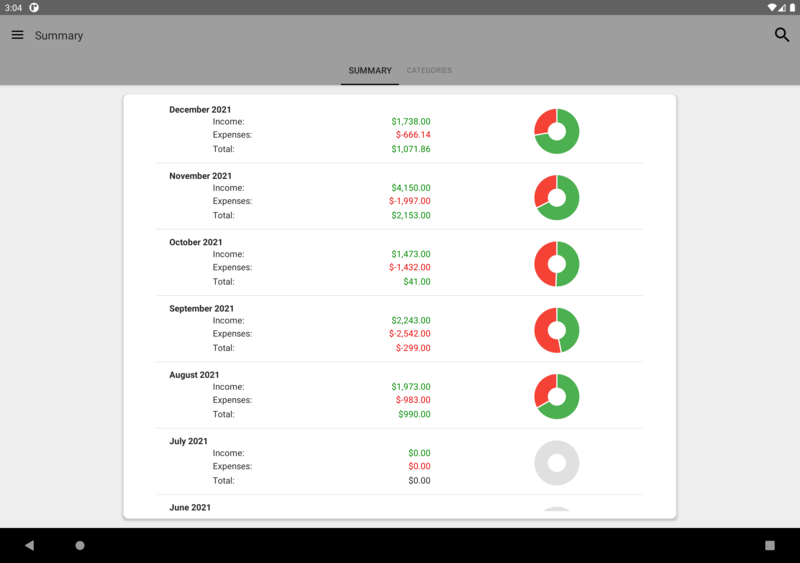 Create custom budgets to always know how much money you still have available. It's possible to select more than one category for each budget.